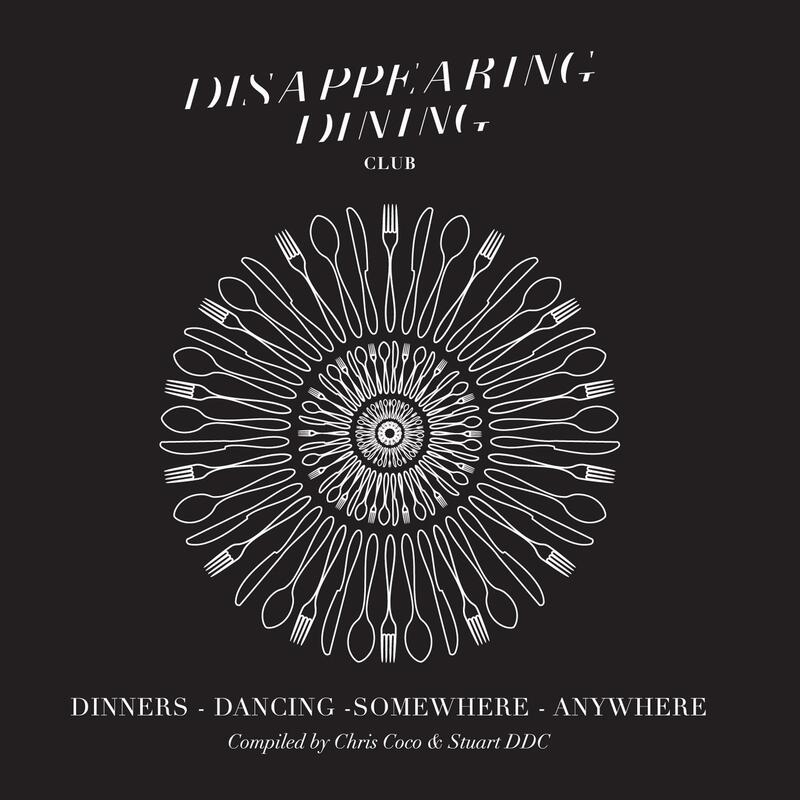 Disappearing Dining Club was founded in 2010 by Stuart Langley after 15 years of running bars, restaurants and members clubs in London and overseas. Stuart was joined in 2011 by Head Chef Fredrik Bolin and opened their Brick Lane restaurant, Back in 5 Minutes, in June 2012. In the last few years they've thrown dinner parties in lighthouses, launderettes, abandoned music venues, inside antiques shops, over a five floor department store, in churches, salvage yards, under railway arches, in photographic studios, on film sets, in galleries, fashion stores, recording studios, private homes, car parks, on beaches, rooftops, in street food markets, gardens, and countless warehouses of all shape and size. Disappearing Dining Club can throw a great dinner party anywhere. Stuart Langley, Founder, Disappearing Dining Club says: "Come to one of our dinner parties and this is the sort of music you'll hear. It's the perfect soundtrack for our kind of dinner party; just add cocktails, plenty of wine, and a couple of hundred strangers sat around long tables in a photo studio/art gallery/disused nightclub/abandoned tube station/Grade II listed cotton mill/antiques warehouse/railway tunnel in London, Manchester or Birmingham. Disappearing Dining Club is all of my favourite things at once; great food, tasty drinks, fun people and surprising spaces. I hope you like the sound of what we do." Chris Coco, Melodica Recordings boss and Disappearing Dining Club resident says: "I have been playing music for dining, dancing, drinking and bad behaviour at Disappearing Dining Club since it started, and watched it grow into a magical monthly event full of beautiful people having a great time. This album reflects the deliciously diverse range of music that we play at the events. It's a way of taking a little bit of that Disappearing Dining Club magic home."